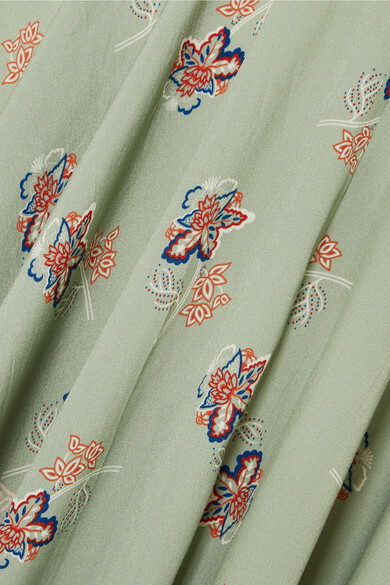 Loewe's latest collaboration with Paula's Ibiza channels the glamorous, bohemian mood of vacationing on the island in the '70s, when the boutique opened. 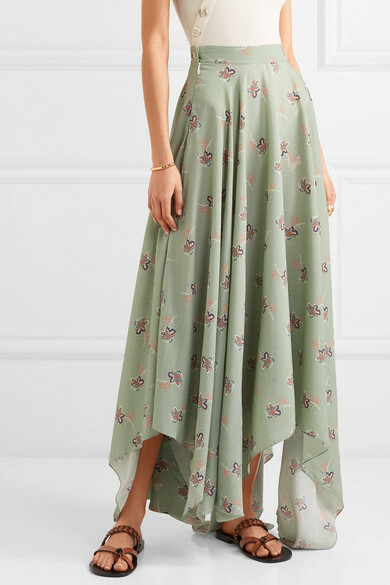 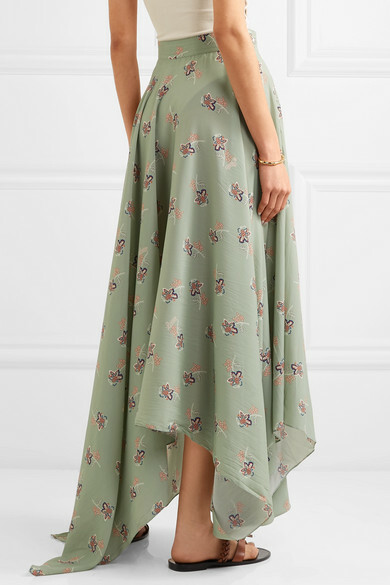 This skirt is cut from floral-print crepe de chine and has a high-rise waistband and flowing handkerchief hem. 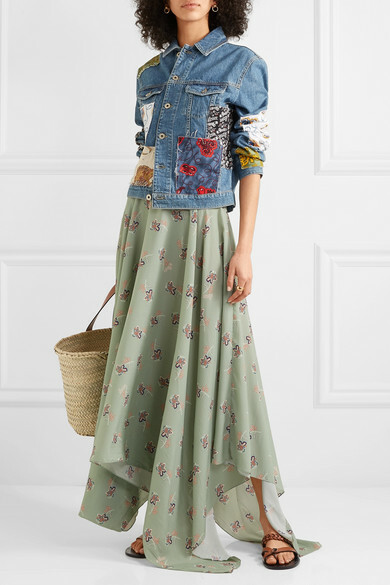 Shown here with: Loewe Jacket, Loewe Tote, Loewe Sandals, Laura Lombardi Earrings, Sophie Buhai Cuff, Laura Lombardi Ring.